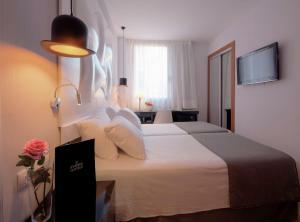 The stylish Evenia Rocafort is located in central Barcelona, 200 metres from Poble Sec Metro Station. 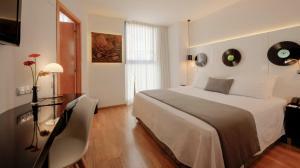 Air-conditioned, soundproofed rooms feature flat-screen TV and free internet access. 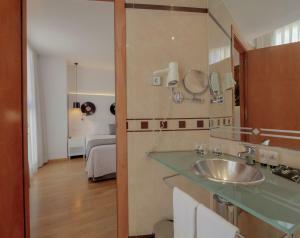 Rooms at the Evenia have a private bathroom, minibar and safe. There is also a work desk. Evenia Rocafort serves a varied buffet breakfast. There is a 24-hour front desk and an internet corner. 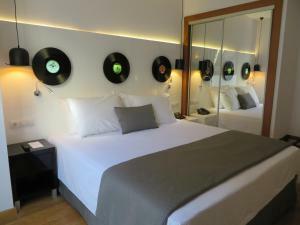 The hotel can provide tourist information, and is within a short walk of the Fira Exhibition Centre, the Magic Fountain and Poble Espanyol. Poble Sec Metro Station is just 2 stops away from the Ramblas. Sants Train and Bus Station is just 3 stops away. 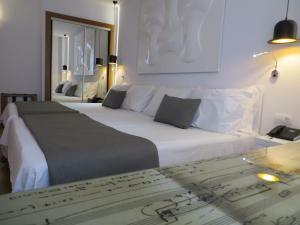 This comfortable, air-conditioned room includes 1 double or 2 single beds. 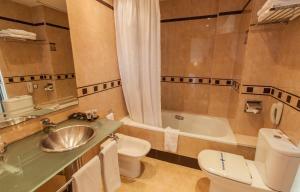 It offers satellite TV, a minibar and a private bathroom with a hairdryer and free toiletries. Rate: € 51.16 ... € 135.26; select dates below to get current rates. This comfortable, air-conditioned room has capacity for an extra bed. 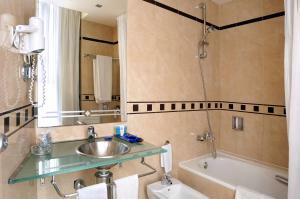 It offers satellite TV, a minibar and a private bathroom with a hairdryer and free toiletries.